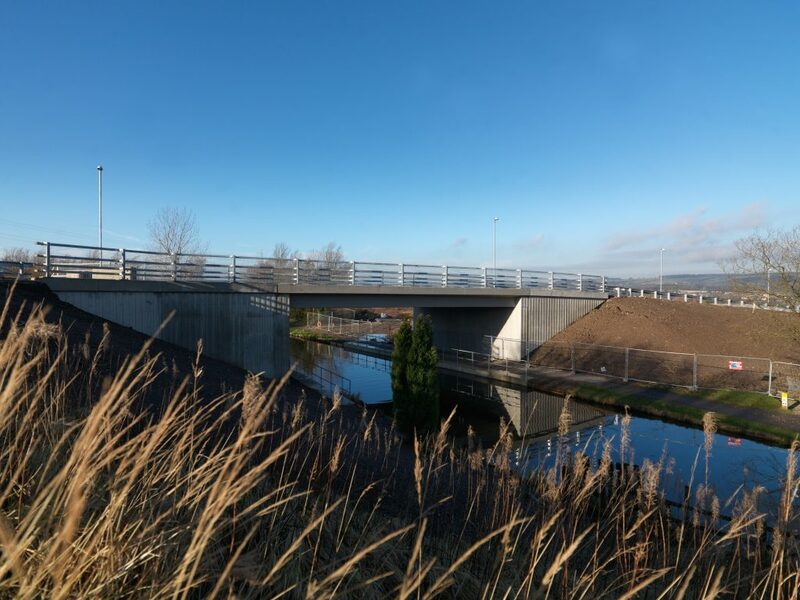 The bridge links the 70-acre site, developed by Eshton, directly to the M65 by crossing the Leeds-Liverpool Canal. For regional and national businesses looking to relocate, the completion of the bridge and road infrastructure will ensure that the facility will offer excellent accessibility for both logistics vehicles and public transport. Phase one of the development will comprise the 64,100 ft² Cobalt Building and the 29,000 ft² Magnesium Court, which are both currently under construction with the help of a £3.85m ERDF (European Regional Development Fund) and a £2.4m loan from Lancashire’s Growing Places fund. Once fully occupied, the site is expected to generate 1,400 new and sustainable jobs and attract businesses that are looking to benefit from a central location and a dynamic, growing economy. James Chapman, managing director of Eshton, added: “The completion of this iconic bridge shows that the project is really starting to take shape and the development has already received significant interest from large occupiers.